**Fortuna does not make the 135-pound lightweight limit and cannot win IBF title. Fortuna initially weighed 136.8 pounds and measured 136.4 pounds after the two-hour allowance. “This is a tough challenge. If you know Lamont, you know he’s a tough fight but I came to dominate the division and it started with Kell Brook. 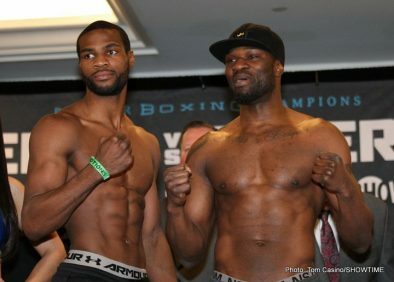 I’m going to get Lamont Peterson and then I’m going to get the other welterweights that are out there. “I wouldn’t say that Errol isn’t the bigger guy, I just believe that it doesn’t matter. It’s all about boxing skills. Video: Jim Gray Interviews Robert Easter Jr.
SHOWTIME Sports reporter Jim Gray sat down with undefeated world champion Robert Easter Jr. at the famed Gleason’s Gym in Brooklyn ahead of his 135-pound title defense against former world champion Javier Fortuna. The pair discussed Easter’s motivations to enter the sport of boxing, his life outside the ring and future aspirations inside the ring. The IBF Lightweight World Title Bout serves as the co-feature of the January 20 SHOWTIME CHAMPIONSHIP BOXING, a Premier Boxing Champions event LIVE on SHOWTIME (9 p.m. ET/6 p.m. PT) from Barclays Center, the home of BROOKLYN BOXING™. 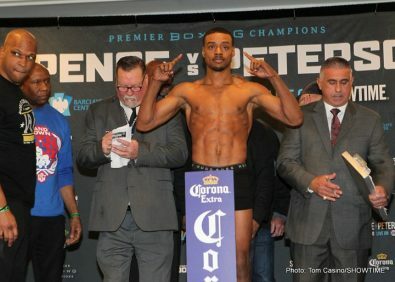 The event is headlined by IBF Welterweight World Champion and 2012 U.S. Olympian Errol Spence Jr. making his first title defense against former two-division world champion Lamont Peterson. 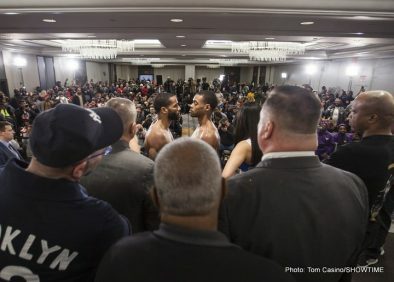 SHOWTIME Sports will stream two live boxing undercard bouts featuring Marcus Browne and Adam Kownacki on Saturday on SHOWTIME CHAMPIONSHIP BOXING PRELIMS. Browne, an unbeaten 175-pound contender from Staten Island, will face Francy Ntetu in a 10-round fight while undefeated heavyweight Kownacki, fighting out of Brooklyn by way of Poland, will take on Iago Kiladze of Kiev, Ukraine in a 10-round bout.